I, Orquidia Cervantes, will be a first generation college student at CalIfornia State University, Chico this upcoming Fall of 2016. I will be coming in to a very different environment from the city of Los Angeles, I am very concerned on how the healthcare system is system is today. Yet, I do understand that you have a very difficult job that not many are capable to be able to handle, I would like you to give some time and improve the healthcare system. Not being the only one to be worried about this issue but many people and families aren’t able to afford to be able to take care of the health and receive medical attention. As of today, our country is very behind in terms of having free universal healthcare comparing to other countries such as Canada and France, Although these two countries are far apart from each other in the world, they both do have funds in their government for people can have free healthcare and not worry about creating insurance companies. 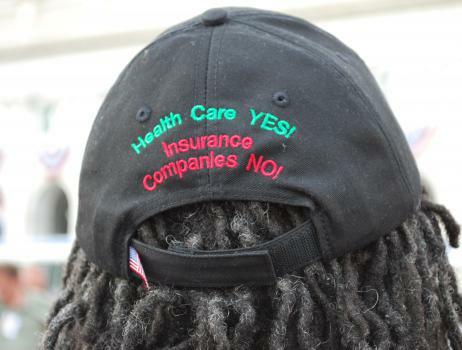 While here in the United States people have to have health insurance. Many of those people decide to not get the health insurance due to the fact that is too expensive and not many can afford it. If people would to get their health insurance, this still cause more problems that people with health insurance may have. Recently, I had fractured a finger while playing a sport at my high school game during the season and when I had went to the doctor and transferred to a specialist to get a hand surgery. As I was waiting for two weeks to get the surgery done, the day before the surgeon had informed my mother that he is not able to do my hand surgery due to the fact that the insurance that I currently have doesn’t cover my surgery. My mother and I had decided to not even get the surgery because we knew that it would have been very expensive just for a minor surgery. As a personal experience, I know that many people and families can relate or worse their stories are a very different experience with health insurance. Which explains of why many deaths occur per year; people can not afford to pay too much money just because they are taking care of their health. Although having health insurance is intentionally to help the people to take care , it is the main contributor in which why the health care in this country is failing. Mr/Mrs. President, I know you’ll do your very best on making this country better and will continue to succeed as a strong country. It’ll be a stronger country if free universal healthcare would to be approved and be taken into action. Universal Healthcare by Orquidia is licensed under a Creative Commons Attribution-ShareAlike 4.0 International License.